The 31st TIFF will offer a variety of free screening programs, including a special series of sports films. Enjoy the fun and excitement of sports on a huge screen in the autumn breeze. 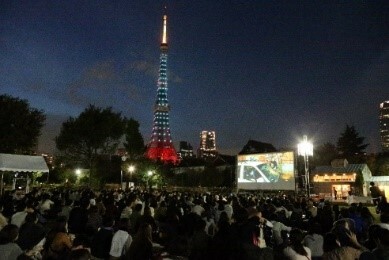 Returning again this year, TIFF will hold an open-air screening of a masterpiece of the sports genre at the foot of Tokyo’s iconic tower. Films are sports and sports are films. We will select masterpieces of the sports genre throughout film history and screen them free of charge every day!